How Can There Be a “Dollar Shortage” When the Fed Printed $4 Trillion? One source of the next financial crisis may be the one you least expect — a global dollar shortage. How is that possible? 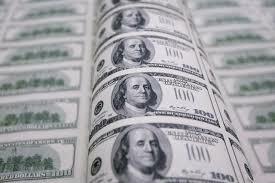 The Federal Reserve printed over $3.6 trillion of new money beginning in 2008 to deal with the last financial crisis. That’s not even counting tens of trillions of dollars of “swaps” with foreign central banks such as the ECB, plus guarantees of trillions of dollars more of money market funds and bank deposits. With so many dollars floating around or backed-up by the Fed, how could there possibly be a dollar shortage? The answer is debt. While the Fed has printed trillions of dollars of money, governments and the private sector have created hundreds of trillions of dollars of new debt. In other words, for every dollar the Fed printed, borrowers have created twenty-five dollars of new debt. As long as the debt is performing or lenders are willing to roll it over for new debt, all is well. But, in a liquidity crisis, suddenly borrowers cannot afford to pay and lenders are unwilling to roll over maturing debt. Everybody wants his money back! Debtors who cannot afford to pay start selling other assets to raise cash. This is how contagion spreads from one market to another and around the world. There are usually early warning signs that liquidity is starting to dry up and borrowers are feeling the squeeze. This article describes how cross-currency swap spreads are starting to widen. Foreign borrowers who borrow in dollars like to swap the dollars for other currencies they can use in their local economies, a kind of carry trade. The spreads widen when demand for dollar borrowings is high. Something similar happened in the summer of 1998 just before the global financial panic that hit in late August of that year. This situation is causing concern but has not yet reached the level of full-scale panic. But this definitely bears watching. When swap spreads widen, it’s like an early warning that the system is about to have the financial equivalent of a heart attack.